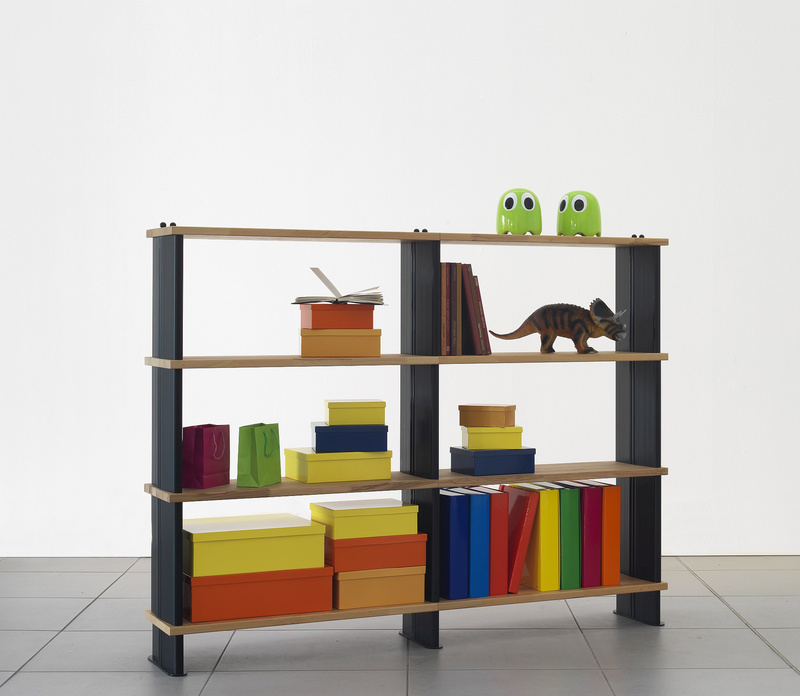 Nikka Wood Made in Italy solid beech wood bookcase - Easy to assemble. The modularity and flexibility of the basic model with the uniqueness of the varnished solid beech wood top. NIKKA is flexible in its versatility, functional in its current lines and reliable in order to the highest quality materials we use. Are you looking for another configuration? Request a quote! 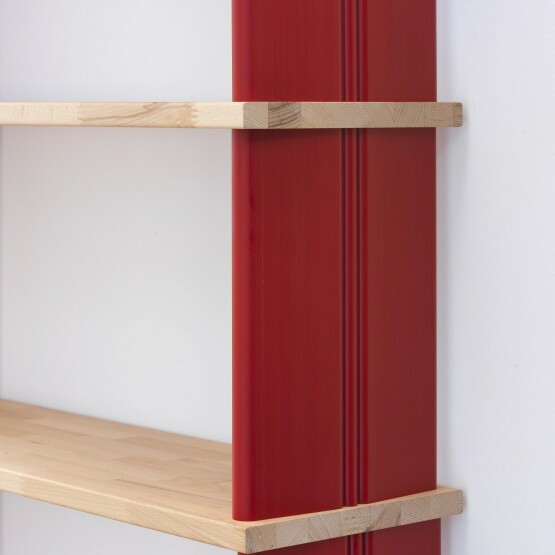 NIKKA WOOD Wooden shelving system and modular bookcases for home office stores. 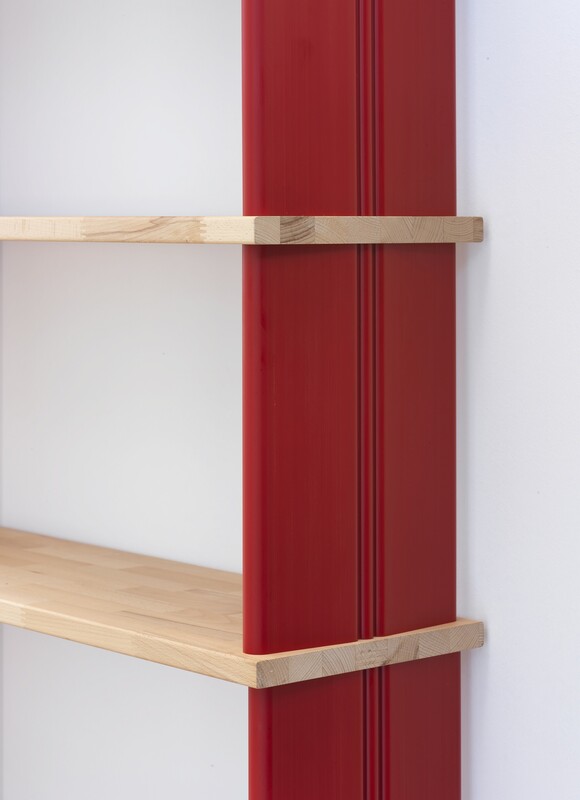 Shelves of high-quality solid wood strips laminated wood planked BEECH painted Gloss Zero. Shelves measure cm.90 x 30 x 2,5 thick (35.4 x 12 x 1). 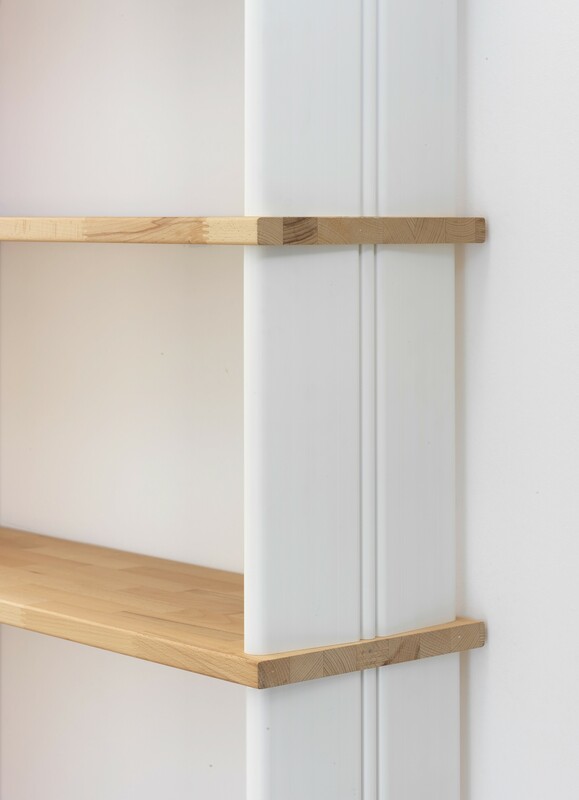 WHITE PVC sidewalls, distance between shelves 38 cm (ideal for books, bottles, binders, etc..) and are complete with bolts for assembly. 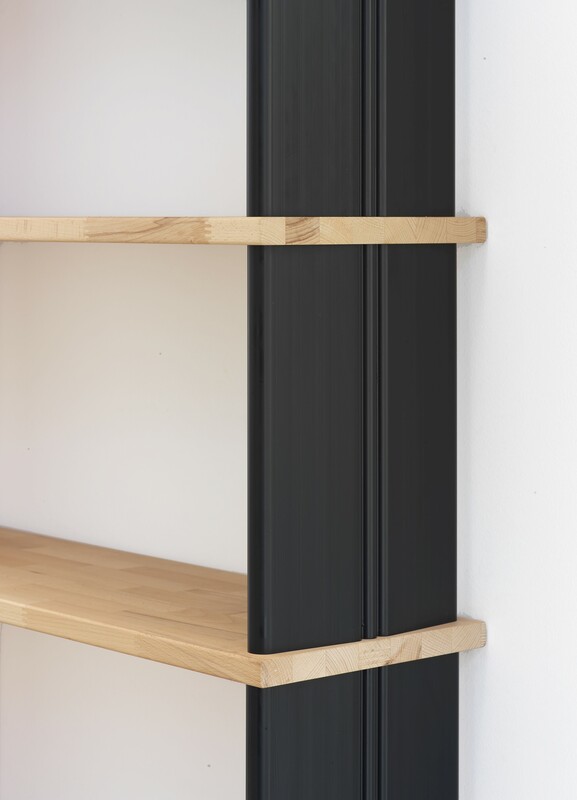 Fixed feet are 12 cm (4,7) height and come complete with bolts and black support. Assembly and its removal does not require any type of tool! 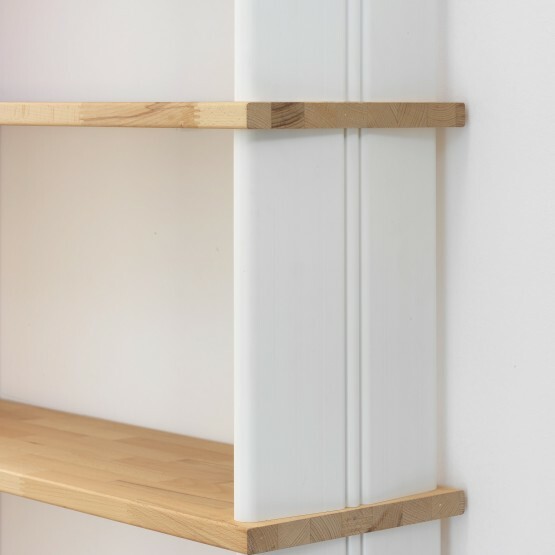 Every composition higher than 175 cm (69) is provided with a wall Safety Kit.